responsibility and contributing to the destitute people in the country. 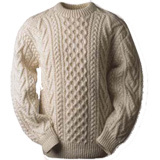 Business Description: Excellent Sweater Ltd known as ESL ESL is a production facility for sweater in diverse gauges. The company has 42000 square feet floor where accommodated 550 numbers of hand drive knitting machines and 1.5 million pieces output in a year. In the production facilities have 1000 skilled workers and 50 managerial staff. The company producing childrenï¿½s, womenï¿½s and menï¿½s sweater in various qualities. ESL built extensive experience in sweater with deferent qualities in both local and abroad.